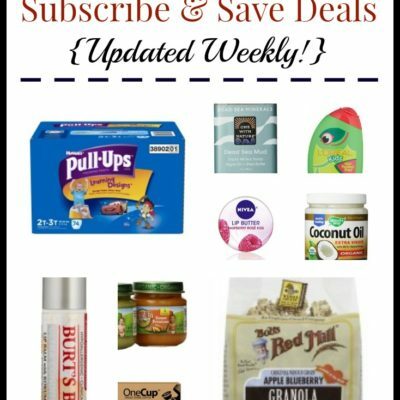 Every month, I head on over to Costco to see what kinds of fun, new, seasonal, beautiful, useful and delicious items I can find. 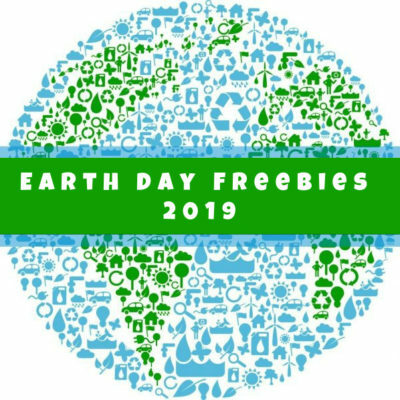 Truth be told – these are not all deals. 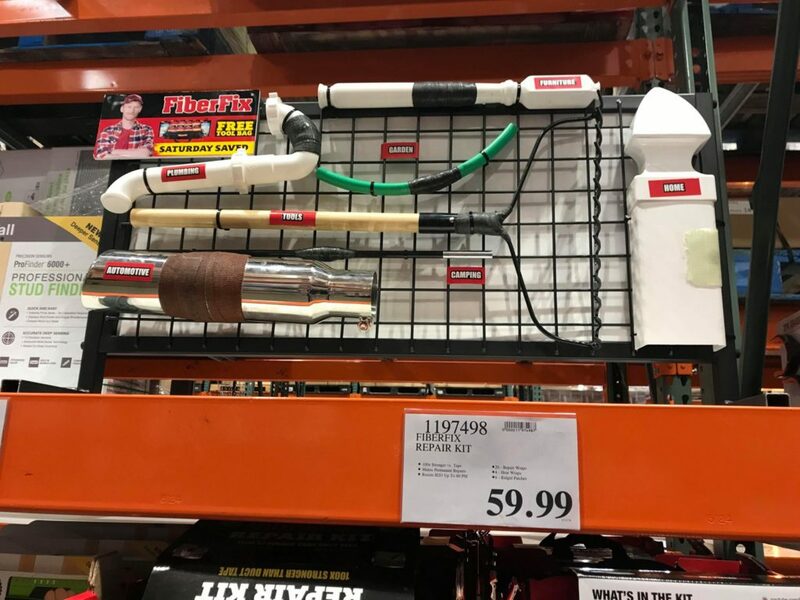 Some of them are what I like to call “drools.” They are the items you didn’t know you needed… until you saw them at Costco. 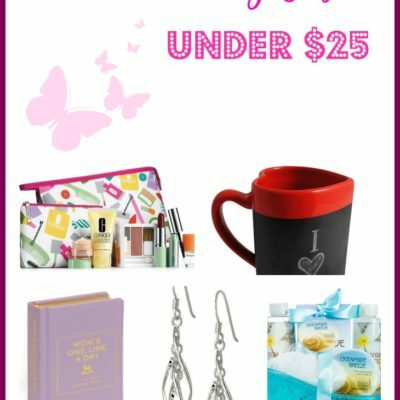 For this month’s post, I have a variety of items to whet your shopper’s appetite. There is a little something for everyone, you might say. And, nothing is in order of any sort, so the only way to proceed? Is to scroll through the entire post! Without further ado, here is this month’s “Stuff I didn’t know I needed… until I went to Costco” feature. 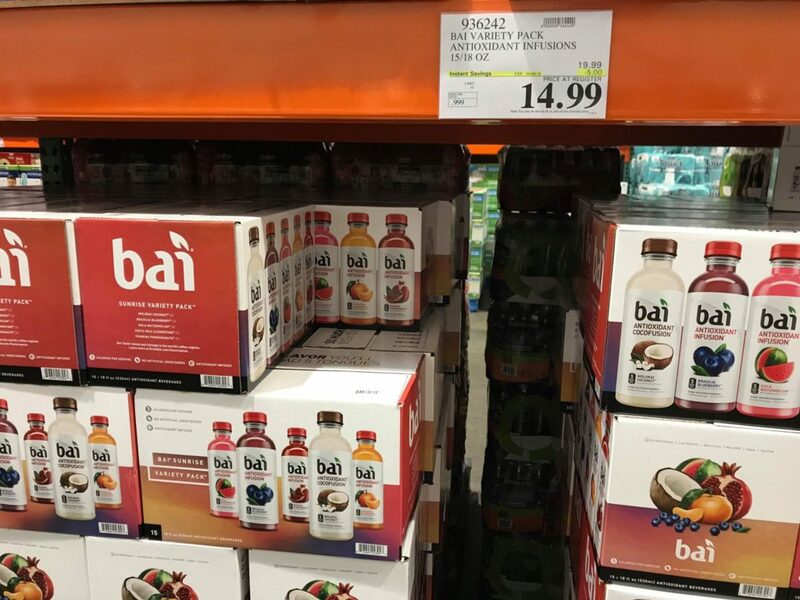 Bai Variety Pack, 15 count is on sale right now for $14.99. That works out to just $0.99 per bottle which is definitely cheaper than you’ll find at the grocery store! 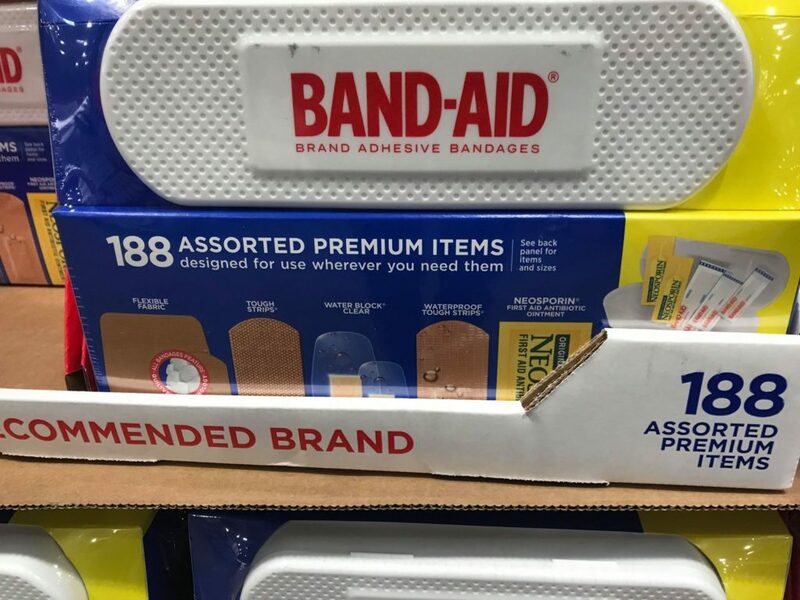 Here’s a pack of 188-ct assorted Band-Aid bandages and first aid remedies all in a carry case for $11.99. Might be a good idea as we head closer to summer when skinned knees and scraped elbows are inevitable. 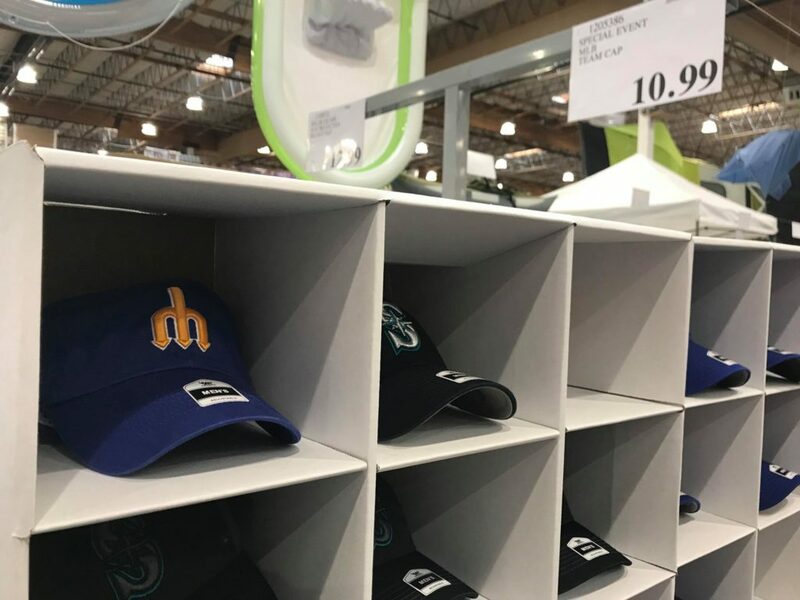 I found an assortment of Seattle Mariner’s ball caps for just $10.99. This seems like a really good price to me! 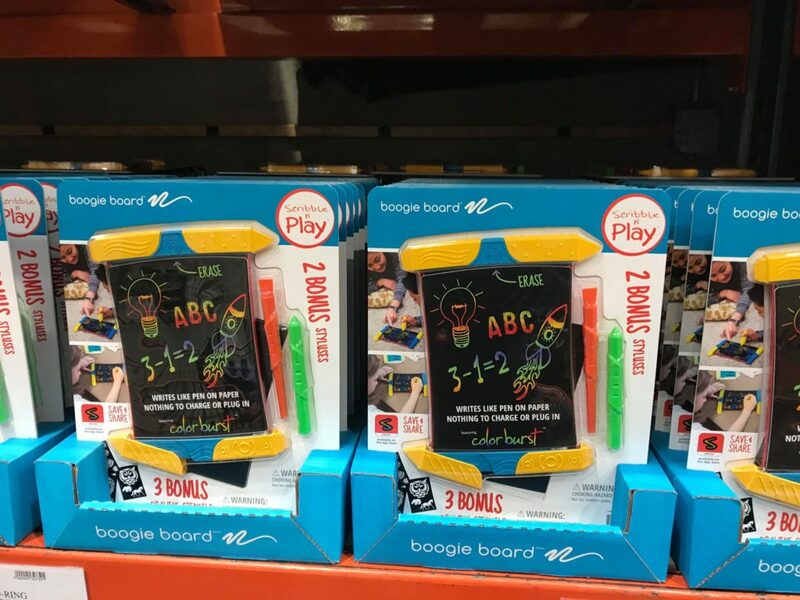 The Boogie Boards are back! These are little boards that you can write on with special pens, erase, and use again. These were $18.99 right now, after instant manufacturer’s rebate. 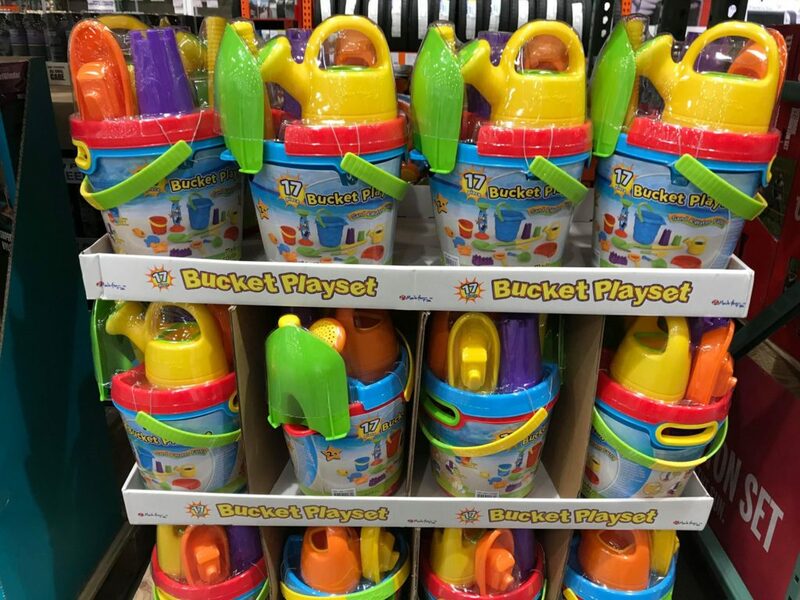 This bucket playset includes a variety of toys perfect for sand or water play. They were selling at my store for $13.99. Might make a fun summer or Easter gift? 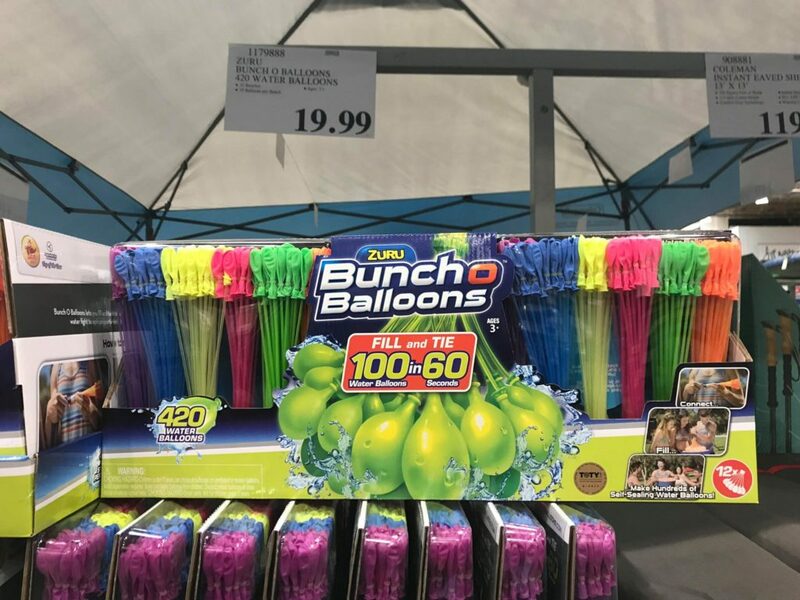 A Bunch-o-Balloons (420, to be exact) for $19.99. That’s a lot of water balloons! Maybe if you’re running a summer camp or church potluck you’d need this many. I don’t even want to begin to know the mess my two kids would make with these! 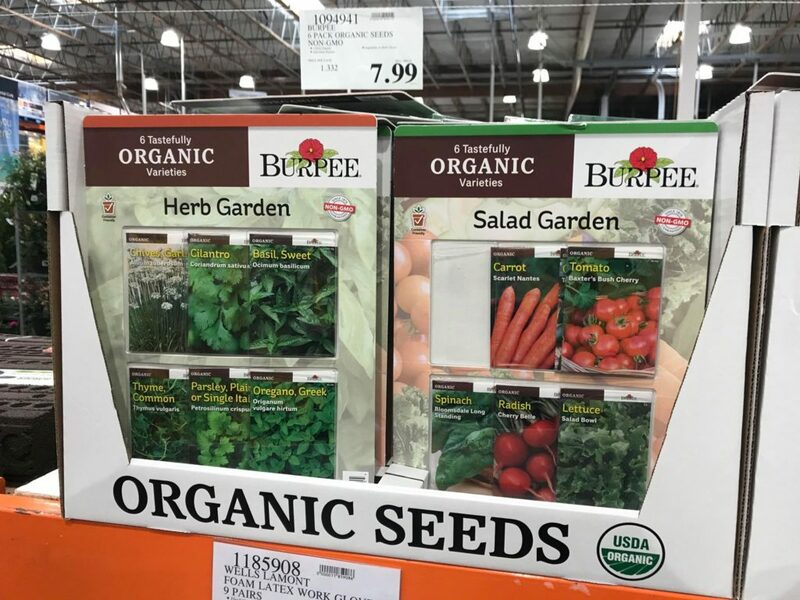 Set of 6 organic Burpee seeds (either veggie or herb) for $1.99. 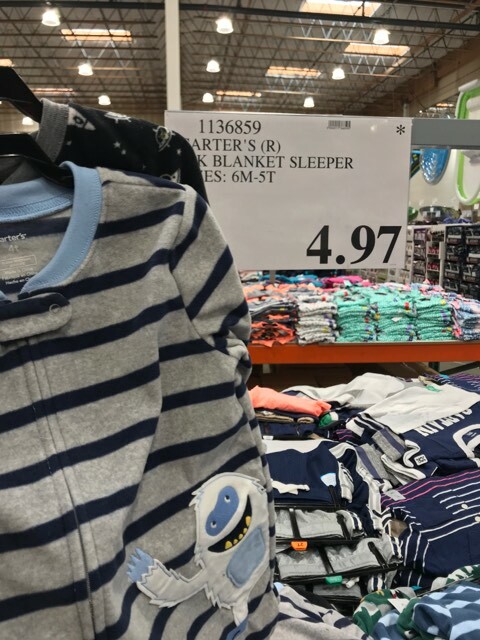 This seems like a really good deal to me – it’s a set of 2 Carter’s sleepers for just $4.97! Ooooo…. these cakes looked good! First up, we have a delightful carrot cake for $13.99. 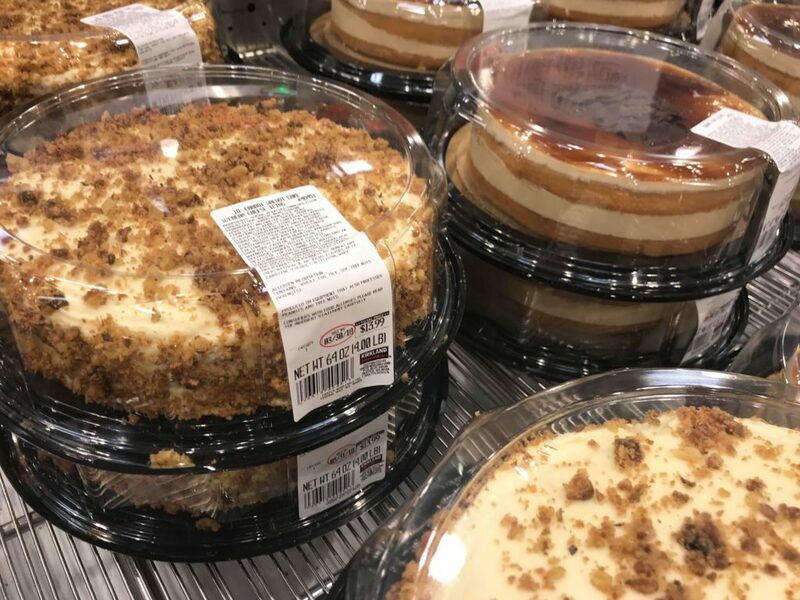 Second – a Tres Leche cake for $12.99. That one happens to be my husband’s favorite cake ever. Not bad, when you consider it’s just $12.99! 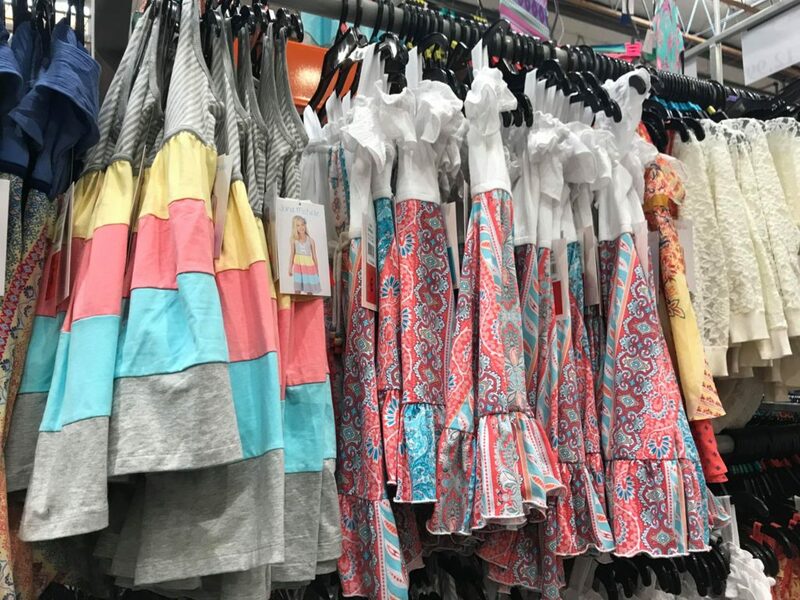 Cute kids’ dresses for $12.99. I’ll admit it… I paused for a few extra moments at this display, which was right next to the yard and garden section. This all-purpose turf really did look like real grass. I am personally tired of carrying for a water-guzzling, weed-filled yard and was pretty darn tempted by this. Sure, it’d be expensive at $124.99 for a single roll to do my entire yard, but if you imagine the cost savings over years, then hey – maybe it’s not so bad? I’d love to know your thoughts on this. 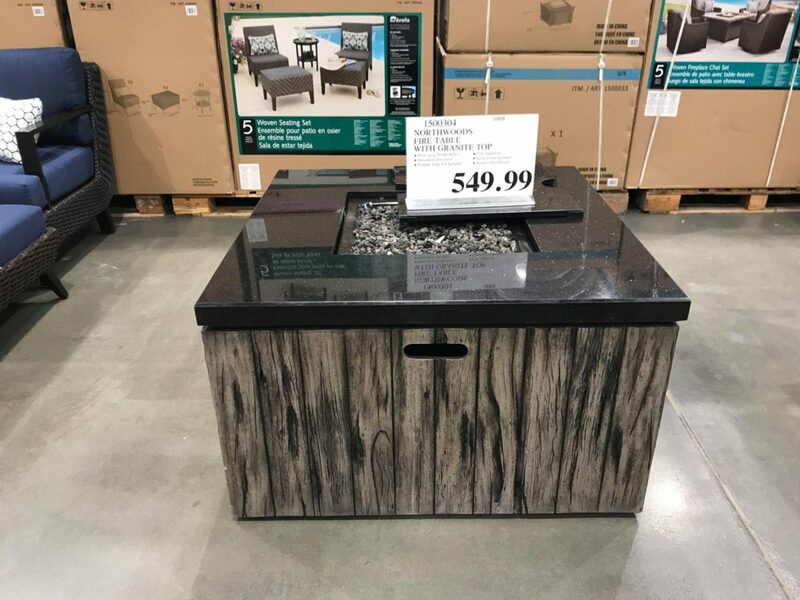 Here’s a nice table with a fire pit built into it. 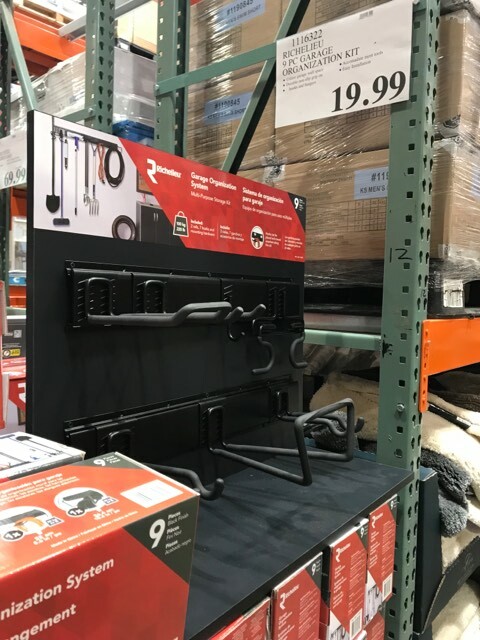 Garage organization kit for $19.99. This ironing board set is $31.99 after instant rebate and it contains a place to set up the iron. 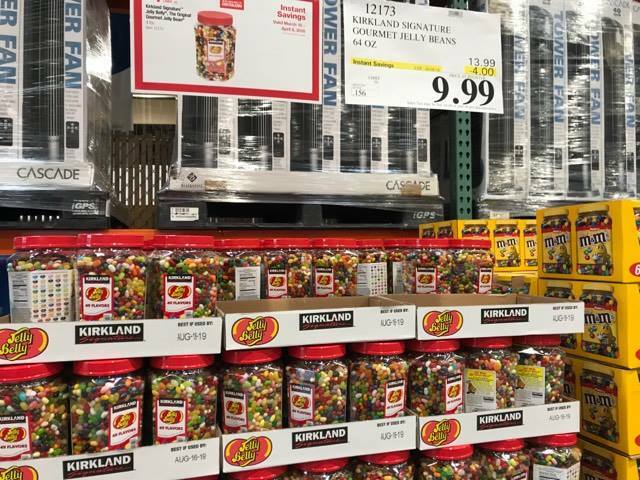 This is probably the most economical way to buy jelly beans… $9.99 for a huge bucket after instant manufacturer’s rebate. 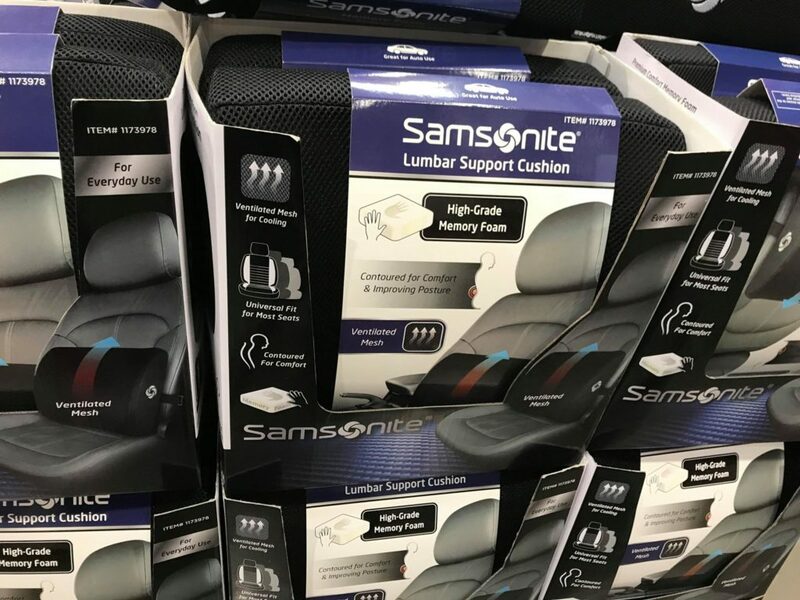 Lumbar Pillow for $9.99. This actually seems like a really good price and it was very nice and soft. Here’s one thing that I don’t ever consider buying at Costco… magazines. The sign reads “30% or more off cover price,” but I couldn’t see any exact discounts on any of the magazines. 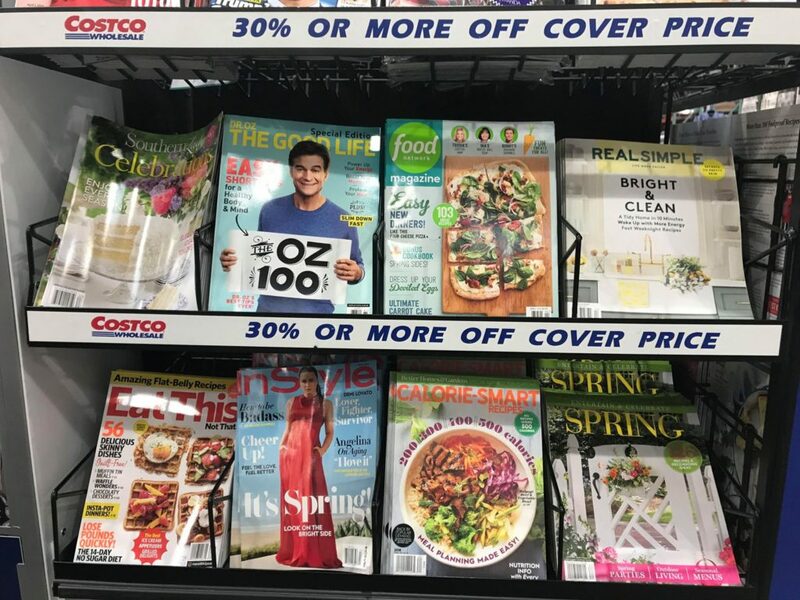 Do you buy your magazines at Costco? 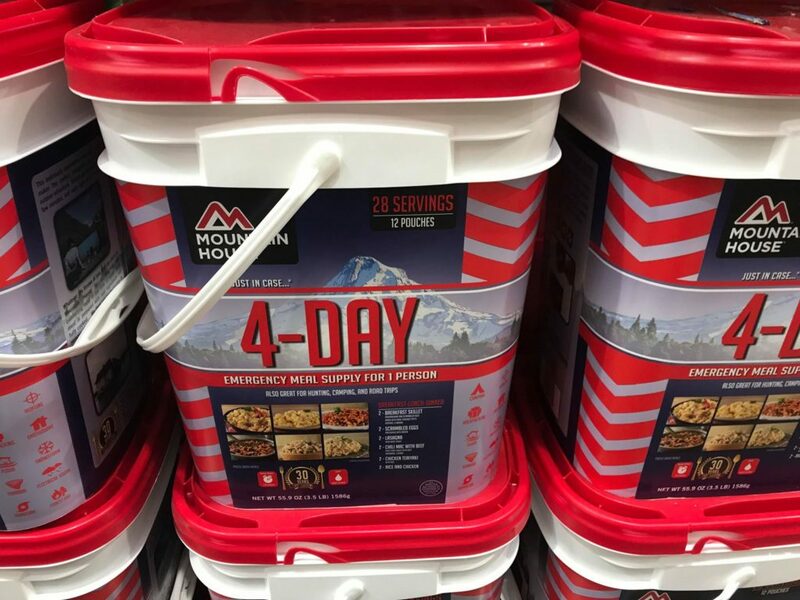 Mountain House 4-Day Emergency Meal Supply for one person for $58.99. Or, I suppose it could be a 1-Day supply for 4 persons. Or, a 2-Day supply for 2 persons. This is sweet! 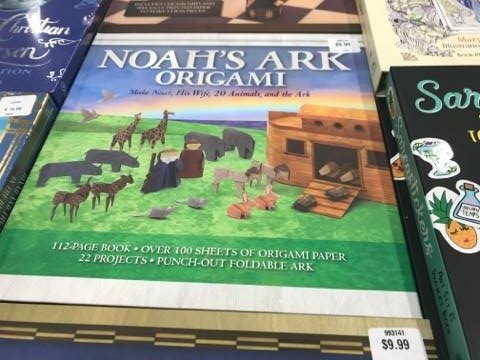 It’s a Noah’s Ark Origami Set. 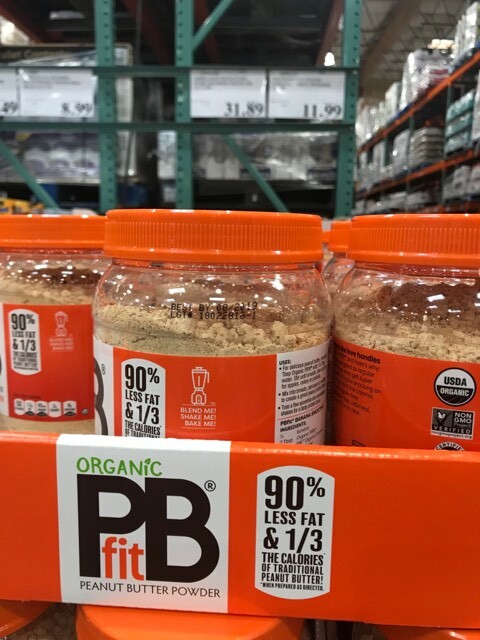 Organic PB Fit for $11.99. It was a much larger size than you’d get at the grocery stores, but unfortunately, I failed to capture the size of the bottle in the photo. DOH. I was not only tempted by this deal… I bought it. 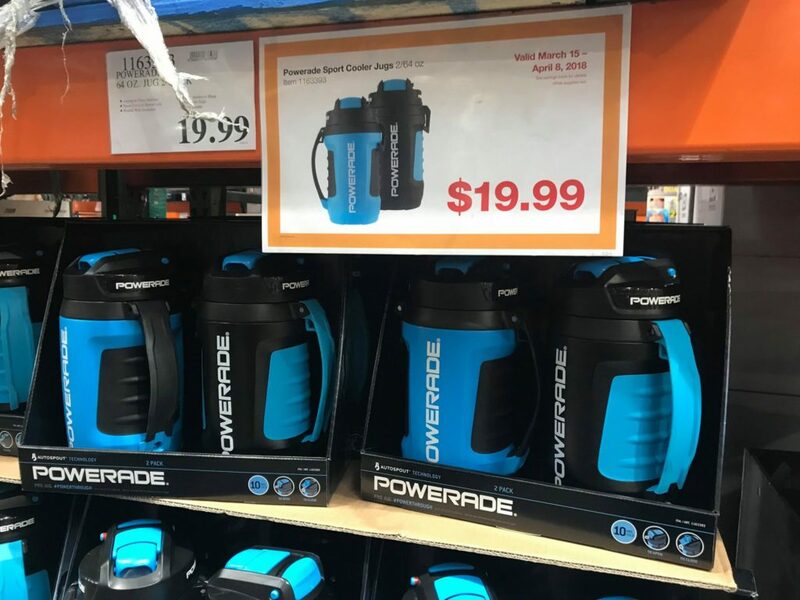 It’s a set of 2 large PowerAde water bottles for $19.99! 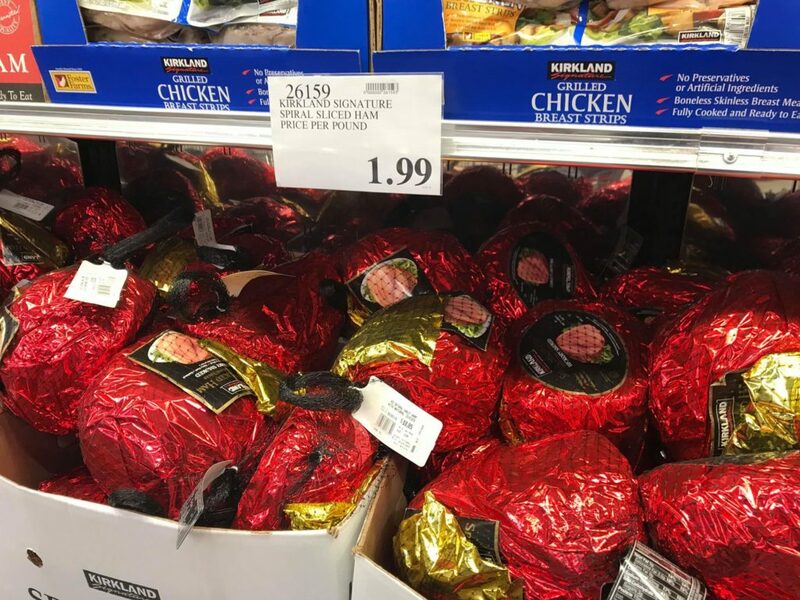 That works out to just $9.99 each and this is a great price. I like sending my son with a size like this for summer soccer practices because I can pack it up with ice. 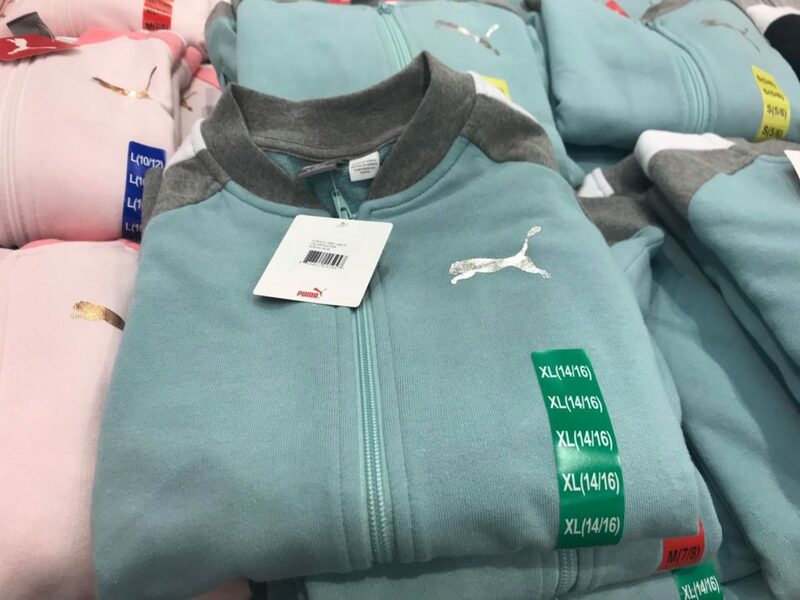 Girls’ Puma track jacket for $16.99. 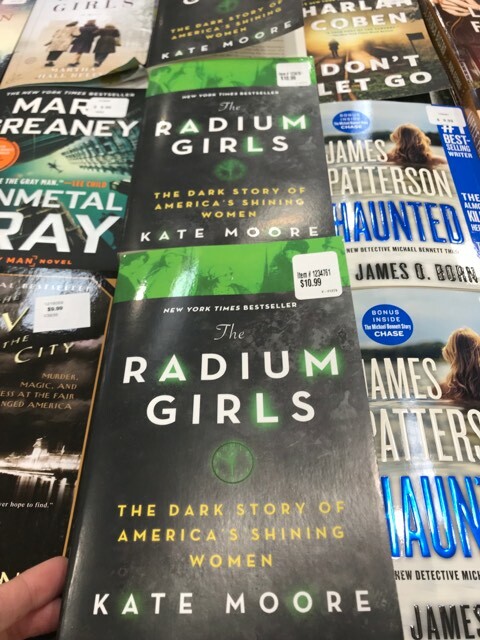 I recently learned about the women behind the heartbreaking story of “The Radium Girls” and would love to read this book at some point! Fiber Fix for $59.99. This stuff makes a bold claim that it can “fix anything.” I can’t tell exactly what it is though – beefed up duct tape? 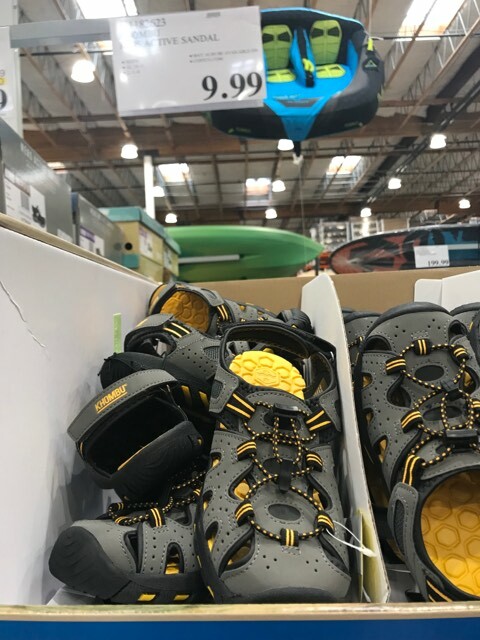 Kids’ outdoor sandals for $9.99. 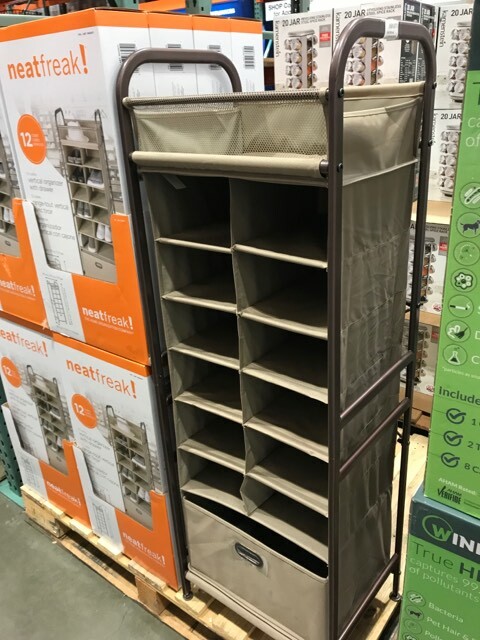 Nifty closet organizer for $29.99. You’ve got spaces for shoes, plus a couple bins/drawers. 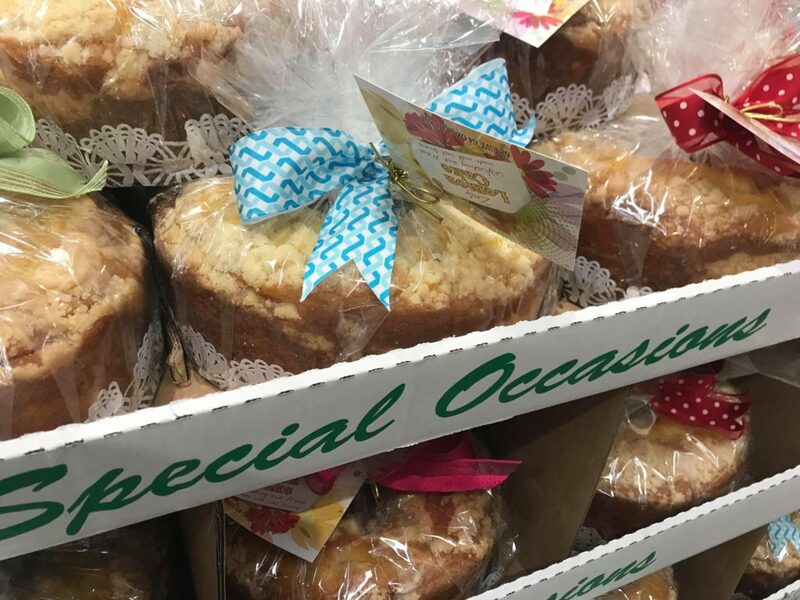 Pretty little lemon cake wrapped up with a bow for $9.99. Maybe a good thing to bring for Easter if you’re short on time and ideas? 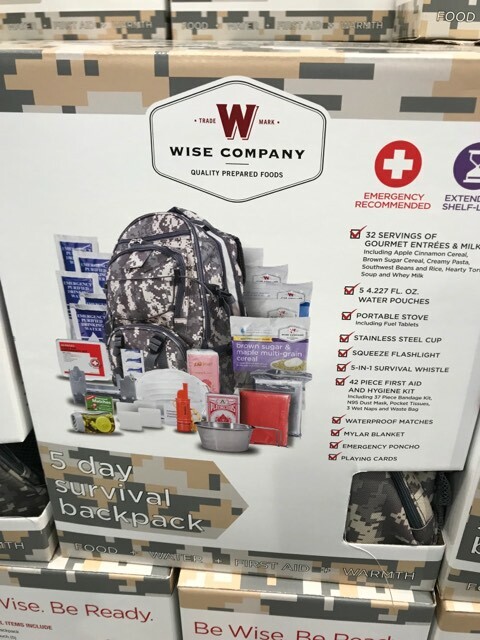 Here’s a 5-day survival backpack, selling for about $40. I love that tucked in the middle of an emergency poncho, portable stove, and food is a pack of playing cards. Because you just might need to play Go Fish to keep your mind occupied while you wait to be rescued. AH! 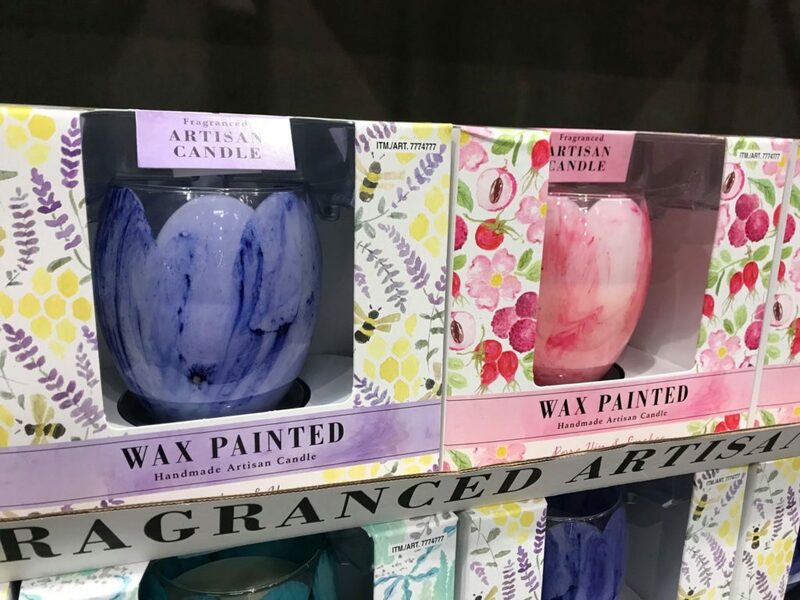 PRETTY CANDLES! I’m such a sucker. I bought a similar one to this during the holidays and it was so lovely. I ended up treating myself to the Aloe & Seagrass one (it’s teal). The Rose one also smelled nice (of course, I had to smell all of them!). Just $13.99, y’all! Ooooohhh! 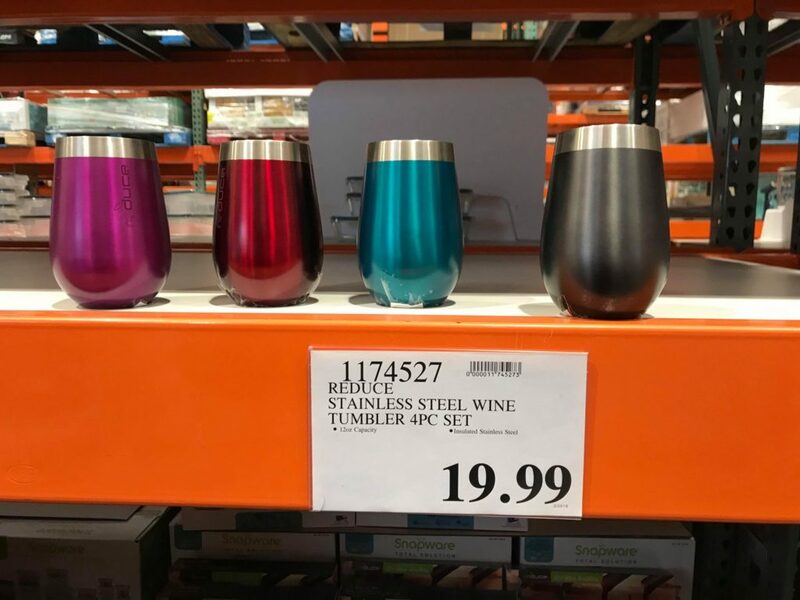 Stainless Steel Wine Tumbler 4 piece set for $19.99. Aren’t these cute? I totally bought this for my son… shhhh!! It’s his birthday next month and he had actually asked for a laser gun set for Christmas. I didn’t end up finding a set that fit the budget, so I nixed it from his list. So of course, for $18.99, I couldn’t resist! 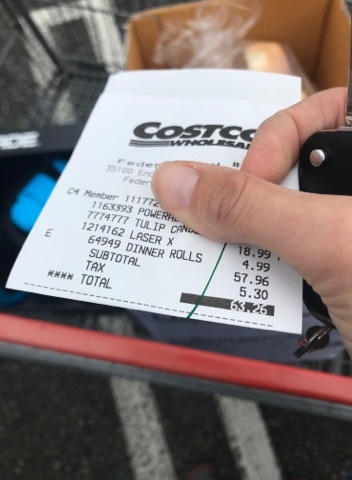 I paid $63.26 ($5.30 of which was tax) for the water bottles, candle, laser gun set, and some dinner rolls. Nothing too fancy, but definitely there were a couple items on there I hadn’t planned on buying when I woke up this morning! 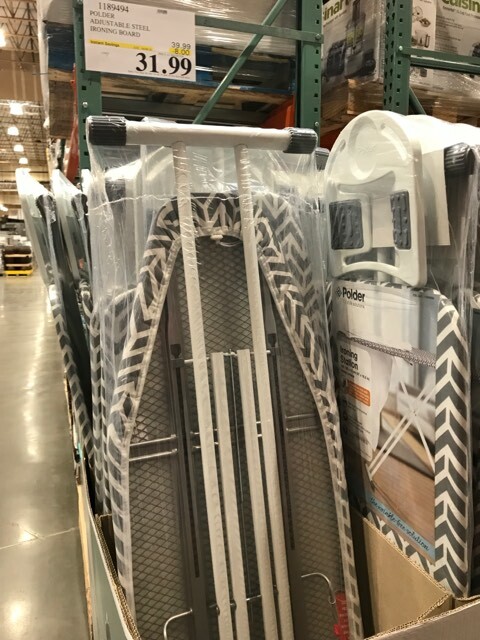 Speaking of Costco, have you had a chance to check out my post of my 10 favorite items from Costco in 2017? 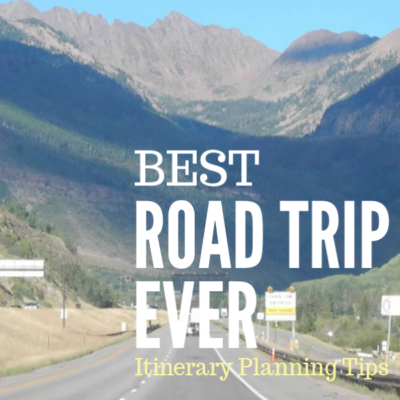 Take a look if you missed it! 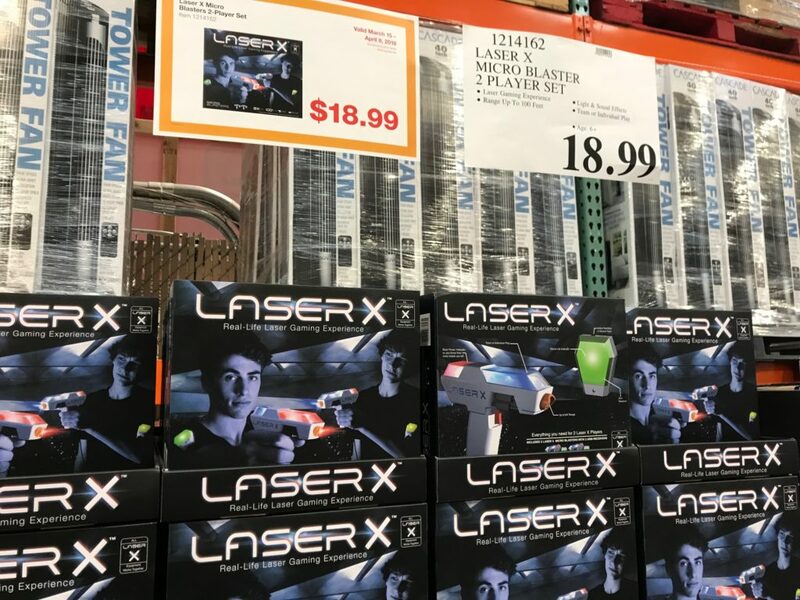 If you enjoy this series, you can see what I’ve found on previous Costco trips at my Costco page. 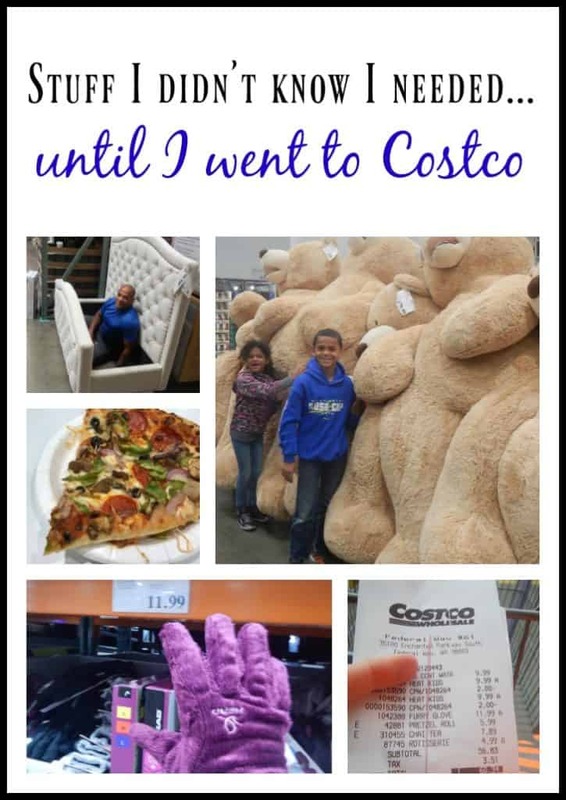 What have you spotted at Costco recently? Have you purchased (or been tempted by!) any of the items on my list today? I’ve love to hear about it! Leave a comment below. What is the size of the turf. The picture shows how much tape is included but not the size of the actual turf. Anyone know? Hi Jen. I went to Costco today so I made a note of the size for you. 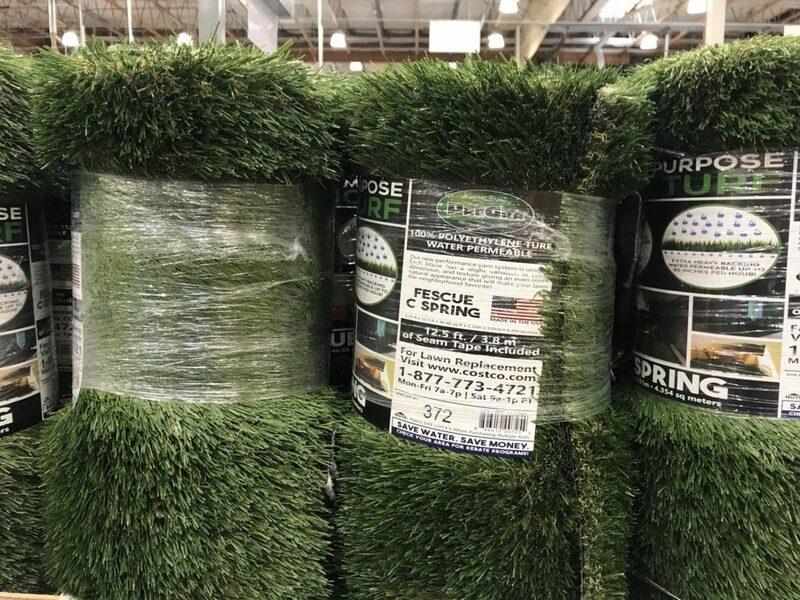 The tag says Prega Fescue Turf (in case you can find it online) and the size is 3.75′ x 12.5′. Hope that helps!